Sven Tasnadi has released a solo ep and a collaboration with Daniel Stefanik on Cargo Edition so far. His work can be callsiefied Minimal in a wider sense, but not in that aseptic way, as his tracks are more groovy, deep and always have the human touch by using elaborate, yet loose percussion patterns. 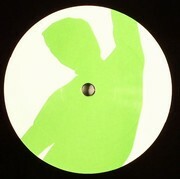 For his track on Liebe Detail, he is holding up to those virtues, but follows a path clearly inspired by deephouse. Sven Tasnadi - "A Run Into Flowers"
Brauns & Nurnberg - "Delicious"